Uber has fundamentally changed the taxi industry. But its biggest disruption may be yet to come. The ride-hailing company has invested in autonomous-vehicle research, and its CEO Travis Kalanick (pictured above) has indicated that consumers can expect a driverless Uber fleet by 2030. Uber expects its service to be so inexpensive and ubiquitous as to make car ownership obsolete. Such ambitious plans could make its disruption of the taxi industry look quaint in comparison. Uber operates in about 60 countries and 300 cities worldwide. Consumers and Wall Street adore the “gig economy” company, which is worth more than $50 billion, and got to that mark in nearly half the time as Facebook. City governments have a more complex relationship with Uber because they often continue to struggle with how and if they should regulate it. To date, Uber has concentrated its operations in urban locations where car ownership is expensive or inconvenient. These locations have a higher demand for trips and can support Uber alongside transit, taxis, and mobility services like Zipcar and Capital Bikeshare. The growing ubiquity and everyday-ness of these services is truly allowing people to wonder why they have a personal vehicle at all, if not completely making car ownership undesirable. A study from UC-Berkeley shows that once users try carsharing services, they are half as likely to own a car. Kalanick recently stated, “Uber doesn’t grow if car ownership is cheaper than taking Uber.” And Uber has a plan to make that possible: getting rid of its drivers. Uber’s drivers take home 75 percent of Uber’s revenues. But with driverless vehicles, Uber would be able to keep its rates down and increase its revenues. A study by Columbia University calculates that with a fleet of just 9,000 autonomous cars, Uber could replace every taxicab in New York City – with a passenger wait time of 36 seconds and a cost of $.50 per mile. Some observers have speculated that widespread market penetration of autonomous vehicles would increase “driving” and the number of vehicles on our roads, and overwhelm the anticipated congestion relief of greater efficiency of automated vehicle control. Pairing autonomous vehicles with the fleet concept puts this in a whole different light, as suggested by the above studies. To this point, Uber has no doubt contributed greatly to the increasing transportation options for city dwellers, but data is still lacking to demonstrate that it has had a positive, if not negative, impact on congestion. The autonomous-vehicle plan may, in fact, go a long way towards fixing our terrible traffic as well as our worsening air pollution, which have been elusive goals for decades. This is an exciting prospect to ponder. Still, should Uber’s plans materialize, the impact may not all be positive. Self-driving cars will greatly affect the job market, car manufacturers, dealerships, transit, and the urban lifestyle itself. Now is a good time for community leaders and urban development and transportation thought leaders – along with Uber and other shared-mobility providers – to think creatively together about the positive and negative aspects of this amazing transformation that may be coming in the next few decades. The ramifications are truly mind-boggling. 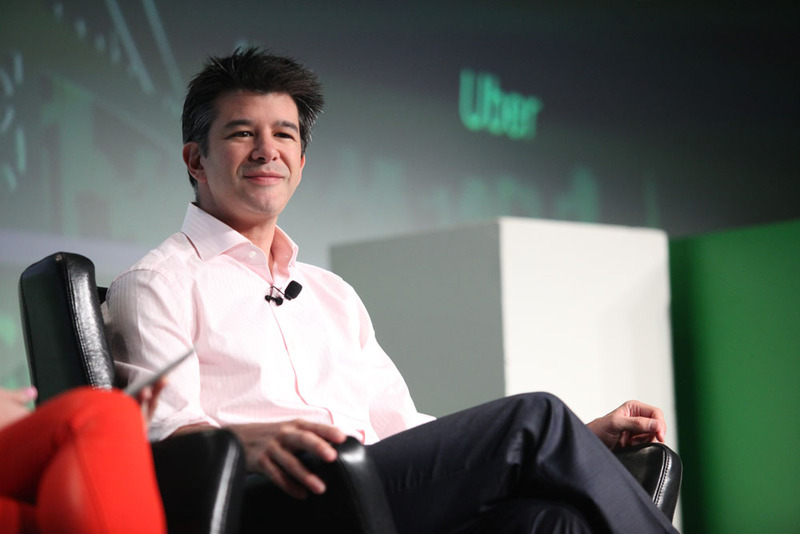 Travis Kalanick photo by TechCrunch. New York City photo by Dorli Photography. What Would Make Your Commute Better?